SSEWA is located in sipajhar Assam . SSEWA is registered as a Society at guwahati of state Assam with Ngo unique registration ID 'AS/2011/0046723' . 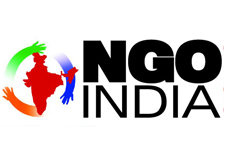 The NGO registration is done by Registrar of Societies with registration number DAR/247/G/63 of 2007 on the date of 20-07-2007, Its parent ORganaisation is PaulFoundation. The Chairman of SSEWA is satish nath and Chief functionary officer is mrinal saharia. sipajhar socio-economic welfare association (ssewa) was born 27/06/2006 at sipajhar;darrang dist(assam) for the development of our socio-economic sector and build-up India is a strong nation .with the goal "to enable a disadvantaged section of society to recognized the importance of their role,initiatives and participate in the process of development and shape their future course accordingly" and started our mission to facilitate the process of empowerment of the downtrodden and marginalized people.we are conducting drama show throw theater group for last three years and organized bihu function also; we provide a scholarship for rural talented student of our area ;for economic development we create shg,jlg throw woman and unemployment youth and providing training and observing their activities .more over we are conducting cricket,football competition for the young.